Is it impossible for old elementary-school friends and new junior-high friends to all get along as just, you know, friends? Good or bad, that's what I'm about to find out. Jessica Darling is finally getting the hang of seventh grade! Hosting an epic slumber party might even help to make Jessica popular...but is that what she really wants? 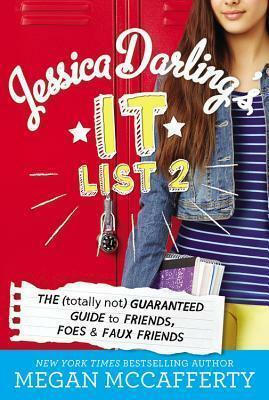 New York Times bestselling author Megan McCafferty's It List series introduces readers to Jessica Darling, an unabashedly brainy seventh grader who tries to stay true to herself, even if it means being (totally not) cool.